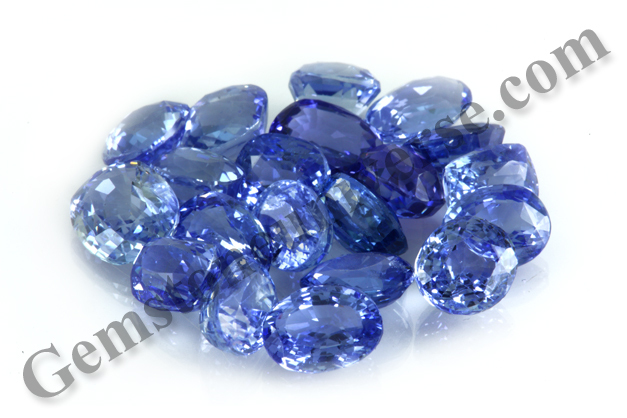 The Iolite Gemstone is a Blue Violet Gemstone which is a hydrated magnesium (iron) aluminium silicate. Also referred to as the cordierite or dichroite, its a Gemstone having powerful metaphysical properties and is used as a substitute gemstone for blue sapphire. 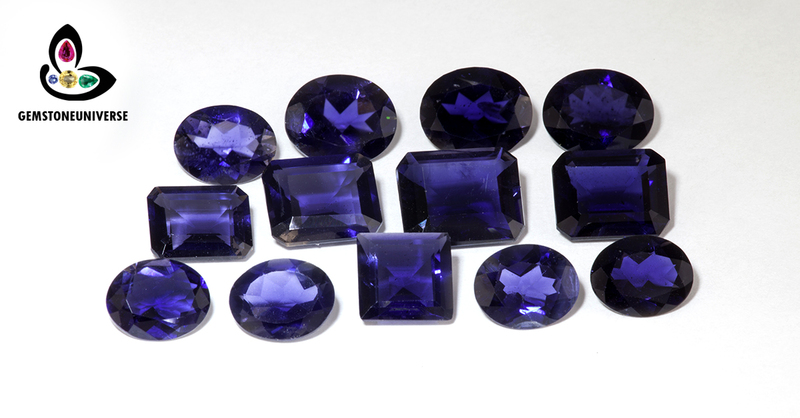 It is the most powerful Uparatna for Blue Sapphire. The most common names for the Iolite in India she Nili, Shani Priya ( Beloved of Lord Shani) – as this gem is supposed to be favourite of the consort of Lord Shani and also Kaka Nili or Kaka Nila. 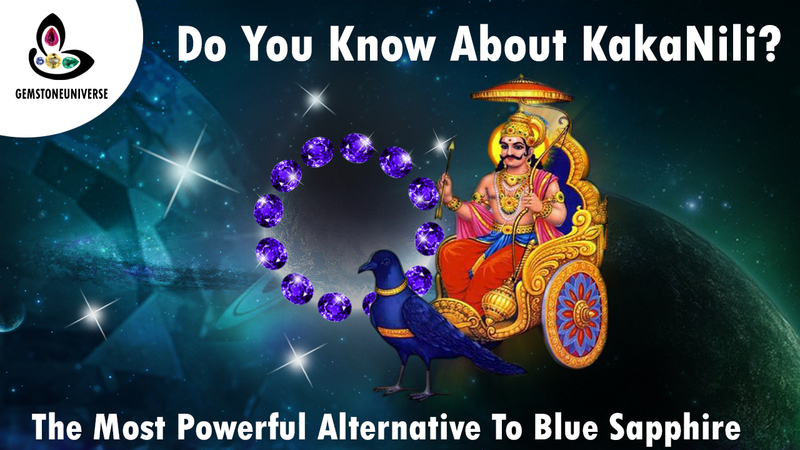 The term”Kaka” or “Kaga” refers to as “Crow” in Sanskrit and the term “Nili” or “Nila” Refers to the Blue and Indigo Shade. What is fascinating is the exact usage of words in the sacred texts. The crow is one of the vehicles for Lord Shani and is black in color. Hence a Kaka Nili is a Blue/ Indigo Gemstone with just a tint of Black. Perhaps the most powerful Upratna is the Kaka Nili. Some people have reported it to be as powerful, potent and fast acting like the blue sapphire. Hence one should wear an Iolite after proper astrological consultation and one should ensure that the Iolite is free from any of the flaws listed in the sacred texts for best results. 1) Are True Jyotish Quality Gemstones. 2) Top Royal Bluish Violet to Deep Royal Bluish Violet. Lovely hues of blues. Despite Iolite being a strongly pleochroic Gemstone the Blues just shine through. 3) Are All Natural earth Mined Iolites from Madagascar. 4) Color spread evenly in the crystal. 5) Precision cut allowing for maximum scintillation, shine, lustre and maximum play of light. Cut from our own rough so you are guaranteed unmatched price. 6) Fantastic Clarity that makes them Jewellery Grade and sets them apart as Jyotish Gemstones. 7) Are free from any flaws as listed in the sacred texts. Zircon is a mineral belonging to the group of nesosilicates. Its chemical name is zirconium silicate and its corresponding chemical formula is ZrSiO4. White Zircon has a tetragonal crystal system. The name derives from the Persian zargun (زرگون), meaning golden-colored. In India It is termed as Jarkan Stone. In some localities it is also wrongly pronounced as Jharkan. Top Quality flawless white zircons that are graded as Top Colorless Flawless zircons are also referred to as “Matura Diamond” for their similarity in beauty and shine with Diamonds. 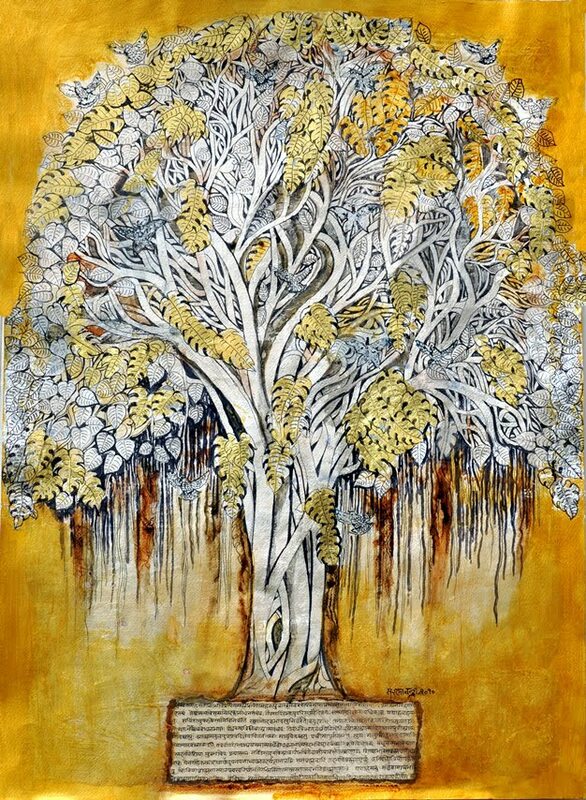 Hindu Poets and Saints have often described the Kalpavriksha Tree- The Divine wish fulfilling tree. They say that the leaves of this holy tree were made of white zircons. Zircon is a naturally occurring Gemstone that has been used for hundred of years for healing, wealth and for its divine powers. 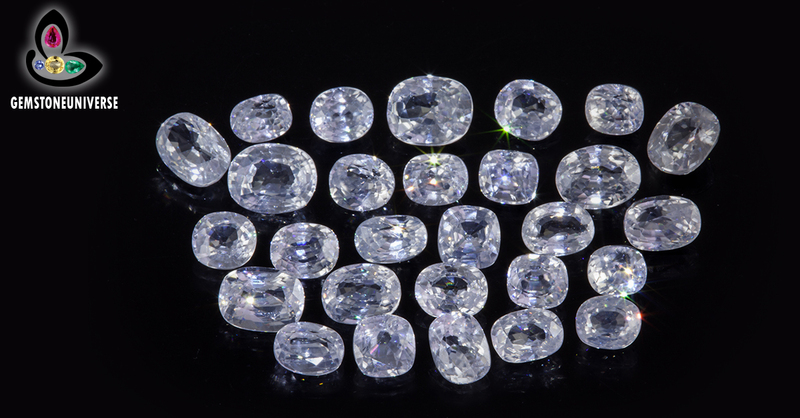 American Diamond and Cubic Zirconia are man made stones in the lab and have no special powers. One has to be careful while buying Zircon in India because most vendors due to lack of information supply American Diamond and call it Jarkan. Jarkan is not American Diamond. Gemstone Certification and appraisal of these lots are complete and you can find them in the White Zircon online inventory in the next 7 days or earlier. Which is the best Alternative to Emerald as a Mercury Gemstone? 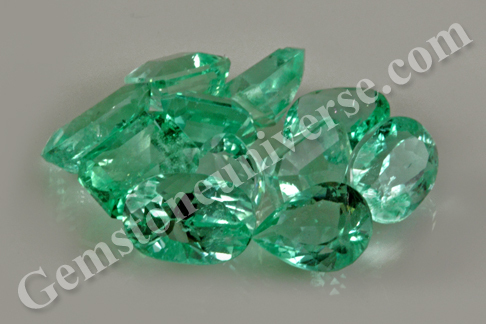 More often then not we receive this question about which is the best alternative gemstone to Emerald ruled by Mercury. This question was answered by Guruji Shrii Arnav himself in the article what are Uparatnas. Meanwhile some individual cite the use of Onyx and Green Tourmaline as alternatives to Emerald. However, Green Tourmaline for Astrological purpose has never been mentioned in any of the standardized sacred text. The only tourmaline mentioned in the Shastras is the White Tourmaline also referred to us the Vikrant Mani; however its powers are harnessed more for Tantrik uses rather than planetary purposes. Onyx though works; its effects are visible after an period of waiting and the overall impact of results are also not of appreciable impact. 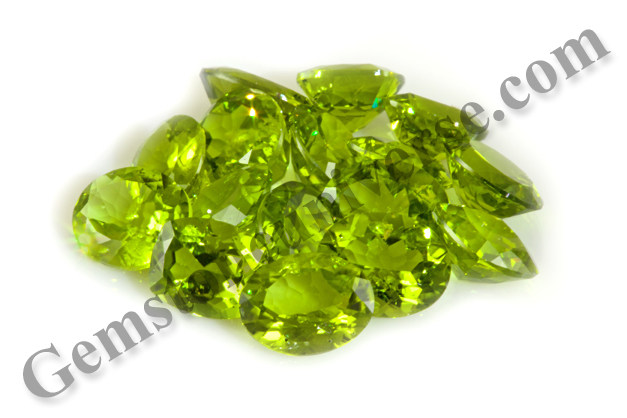 Without a single iota of doubt the best Upratna, semi precious alternative to Emerald is Peridot. As a mercury gemstone, it shows a clear impact on wealth, better speech and communication and improved concentration and intelligence. 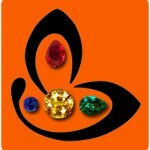 Are Natural earth Mined and Radiation free Gemstones. Has beautiful cut and faceting that allows the maximum movement of light. From Anique step cut to a perfect checkerboard cut, the cut is scintillating. Is super lustrous. Just watch the video to see how light travels through its beautiful facets. Since the 1st century the most prized sources of Cat’s Eye has been Sri Lanka followed by India. When you use the term Cat’s eye alone is means Cats eye Chrysoberyl also referred to as Kanak Khet Lahsunia in the sacred texts. The other variety of Cats Eye is the Dhoom Khet/ Dhumra Ket which is Cats Eye Quartz. Other sources of this Gemstone include Burma, China and Madagascar. Kanak Khet refers to a Golden Colour and Dhumra Khet refers to Smoky Grey Colour. 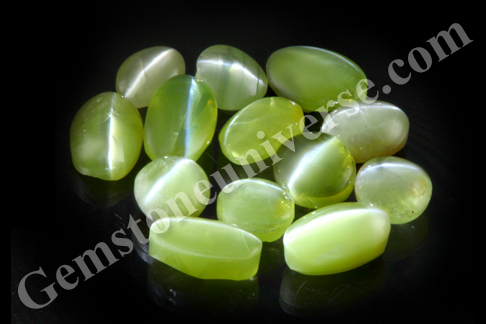 For the purpose of Jyotisha/ Astrological benefits the Shastras advise the use of Cats Eye Chrysoberyl. Cat’s Eye is the Gemstone of the Planet Ketu as per Vedic Astrology. It is a mystical gem with magical powers. It blesses the wearer with protection, intuition, ability to peep into the future and it is the favourite gemstone of professional gamblers for it is supposed to bring windfall gains. 1) Color-The Top colours are Honey, Golden Green, Green and Greenish Gold. Yellowish green or brown shades are not much desirable. 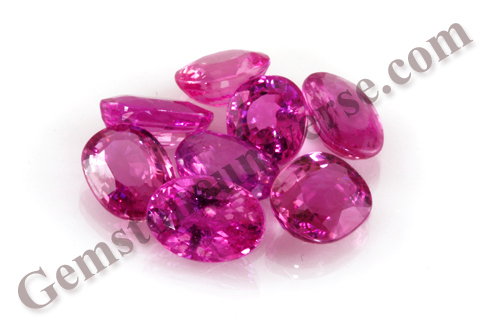 2) Transparency- Majority of Cats eyes Gemstones are Opaque however some are translucent. Those Cat’s Eyes that are transparent with good color and Chatoyant Band are the most expensive and are a collectors dream. 3) Quality of the Chatoyant Band. The most robust, clearly defined the line is the better the cats eye. Mesmerizing and enchanting Honey, Greenish Gold to Greyish Green Colour. Translucent to Semi Transparent Cats Eye Gemstone with highly polished domed tops. Fully Natural, untreated and radiation Free Cat’s Eye Chrysoberyl. Free from Any flaws as Listed In sacred texts. Are true Jyotish Gemstones that shall deliver the results only Jyotish Gemstones are capable of. 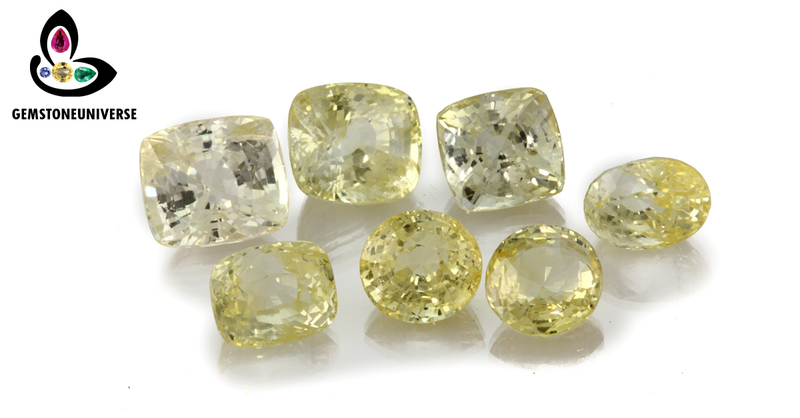 Gemstoneuniverse is pleased to present new lot of yellow sapphires for its patrons. This lot has been named as Vibhuti- The sacred purifying ash because of is inherent Sattvik Quality. What is so special in this Yellow Sapphire Lot? 1) The clarity level of these Yellow Sapphires 95% and above and it happens in only less than 1% of natural, unheated gemstone above the size of 4 carats and above. 2) The cut is perfect. Cut and fashioned in one of the most prestigious facilities in the world it is a mixed step cut similar on the lines of the classical Portuguese cut that makes the movement of light through the crystal magical. Just view the video to appreciate the cut, the beauty cannot be captured in a 2 d image. Cut from our own roughs so you can get unmatched price. At the moment of this write up (5th February 2014), there is an acute shortage of Gem Quality Natural Cat’s eye Chrysoberyl above 1 carat coming out of Sri Lanka and India. This situation has persisted since October of 2013. The market is flooded with Nuclear Radiated Cat’s eye which is harmful for health and is useless for use as a Jyotish Gem. These Commercially traded Cat ’s eyes are of a deep honey shade or chocolate shade. Some traders pass them of as a new material coming out of Madagascar but nothing can be farther from the truth. Primary reasons cited for the shortage are lack of good rough material coming out of India and Sri Lanka. No one has provided any other concrete reasons. The prices of Cat’s e eye chrysoberyl that is above 1 carat and is Gem Quality has gone up by 30% since October 2013. 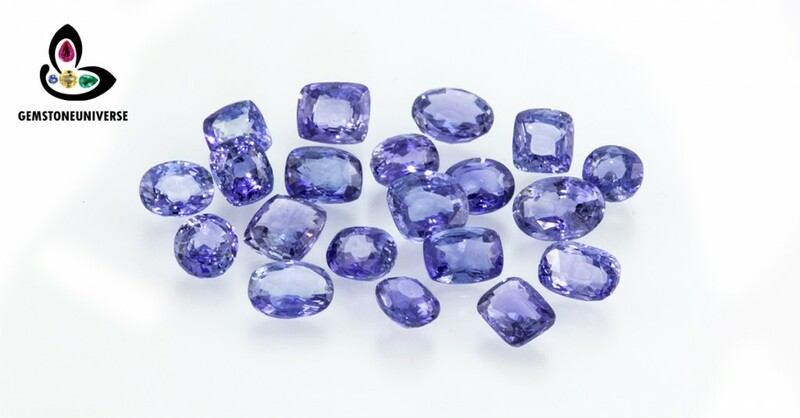 We however try our best that we are able to provide the best price to our patrons leveraging the scale and quantum of the Gemstoneuniverse buying division. You can read more of the unmatched prices we offer. When we talk about Jyotish Quality the choice becomes even more limited because a Jyotish Gemstone has to clear certain parameters before it can be classified as a Jyotish Gemstone. That being said, we at Gemstoneuniverse are always on the look out for Good Quality Roughs to meet the demands of our patrons. – Mesmerizing and enhancing Greenish Gold to Greyish Green Colour. – Majestic Chatoyant Band that is Silvery white and get highlighted more because of the primary greenish tone of the Cats eye Crystal. – Translucent Cats Eye Gemstone with highly polished domed tops. 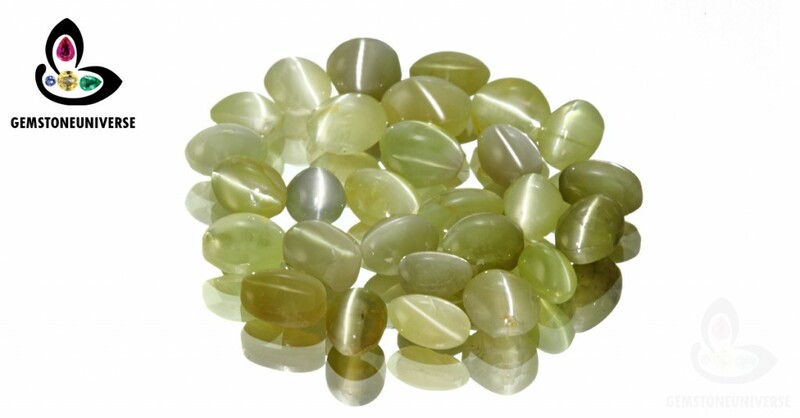 – Fully Natural, untreated and radiation Free Cat’s Eye Chrysoberyl. – Very rare lot given the market conditions (Read above). – You can feel the energy just by holding the Gem.